Heart problems, road accidents and mood changes are associated with the time change. The dread day is coming: Sunday, when the clocks “spring” forward an hour in the U.S. to bring back daylight saving time and to rob most of the population of an hour of solid sleep. It’s not just annoying. Plenty of studies show that losing sleep is bad for your health, and a series of recent studies show that the days after the time change may see a rise in serious heart incidents in particular. 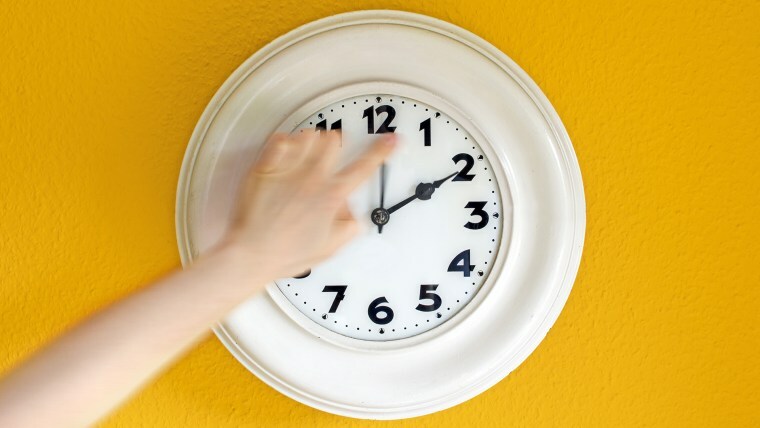 A team at the University of Colorado in Denver found a 25 percent increase in the number of heart attacks on the week after clocks “spring” forward, and a 21 percent decrease in the week after they ‘fall” back. And a Swedish team found a 5 percent increase in heart attacks in the first three days after the March change. “There seems to be a challenge to changing people’s time and circadian rhythm that affects health in a negative way,” said Dr. Sara Nowakowski, a clinical psychologist and sleep researcher at the University of Texas Medical Branch. “There seems to be an overall higher rate of stroke,” Nowakowski added. This fits in with what’s known about other sleep disruptions, such as jet lag, Nowakowski said. Other studies link sleep loss with increased headaches and a worsening of chronic pain. Sleep-deprived schoolchildren do more poorly on tests, and Austin Smith of Miami University in Ohio found evidence that road accidents increase after the changeover to daylight saving. Insomnia and sleep loss are linked with depression and suicidal thoughts, as well. “We don’t know the mechanism behind it,” said Nowakowski. Going to daylight saving time has two big effects in northern climes: it costs people sleep, and it can mean waking up in the dark again, after several weeks of ever-lightening dawns. Daylight saving time controversy: Why do we still 'spring ahead'? Don’t underestimate the effects of losing that light, said Nowakowski. Seasonal affective depression is treated using light boxes for that very reason. “What we know about circadian rhythm is that it is affected by external cues and light,” she said. “If you are getting up and it is dark out, that can impact mood and impact sleep,” she said. “Exposing yourself to morning light is the best thing you can do. Go outside 30-60 minutes and get sunlight – that’s as powerful as using a light box,” Nowakowski said. Shift bedtimes forward by 15 minutes to 30 minutes a night in the days leading up to the change. Power down screens for at least an hour before bedtime, and use apps that get rid of the sleep-disrupting blue light from screens. Open the curtains and let the sun stream in when you wake up, or turn on all the lights if it’s still dark. Teenagers will especially struggle with the time change, Nowakowski said. “They are not going to be up for going to bed earlier,” she said. “That’s due to biology, not due to being lazy, added Nowakowski, who has advocated for later school start times. They may need extra help with powering down devices, calming down in the hour before bed, and then getting plenty of light in the mornings to help them get going, she said.